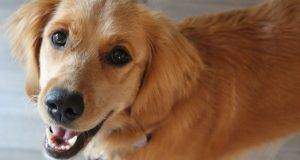 If you are looking for a sweet and playful dog, a Goldador is the choice for you. 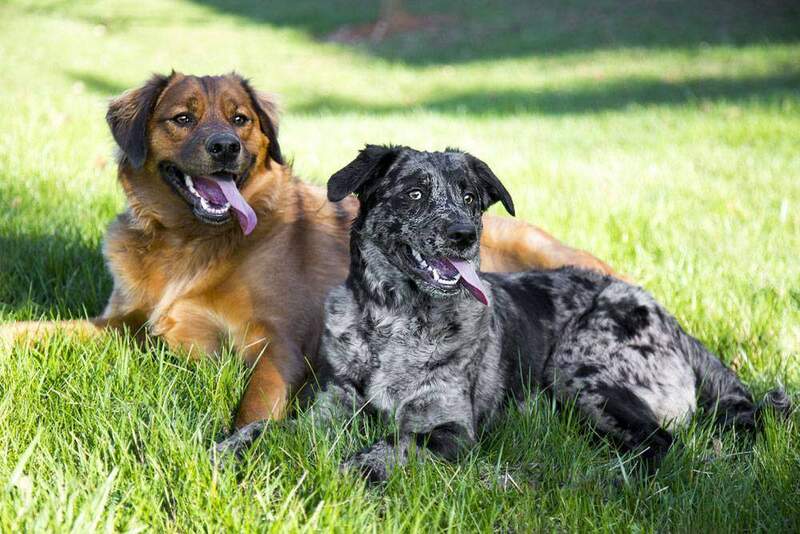 This hybrid breed has so many positives: they are easy to train, loyal to your family, and certifiably lovable! 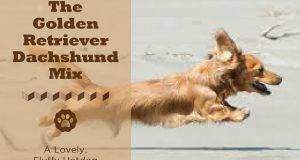 What Is a Goldador Dog? What Makes a Goldador Different? 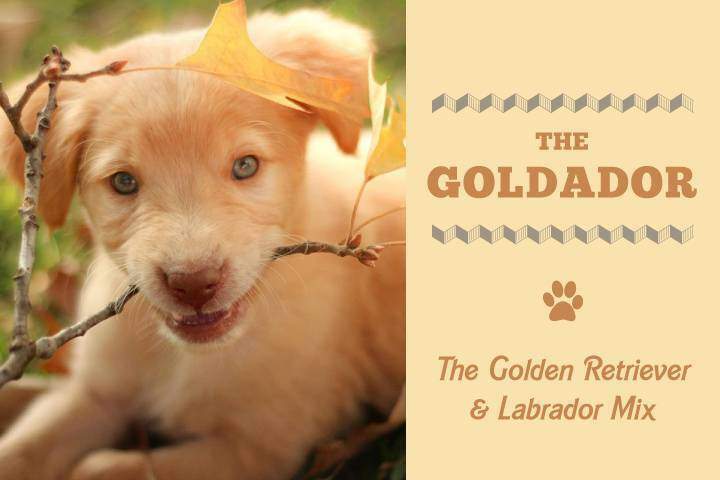 Goldador puppies are a blend of two of the best family dogs out there: the Golden Retriever and the Labrador Retriever. 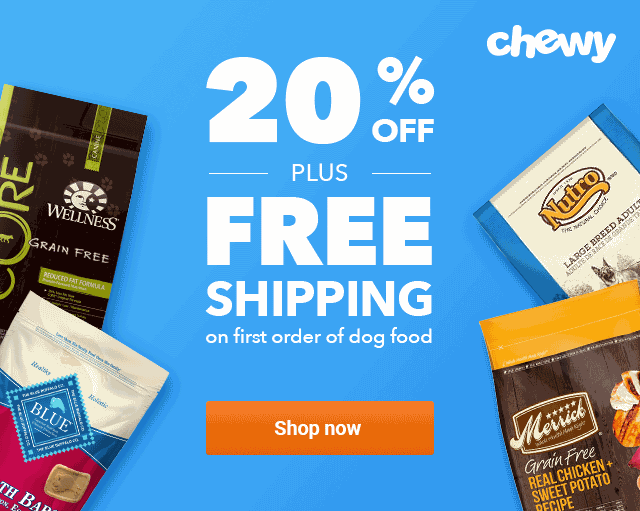 This combination results in a lovable and gentle dog breed that is perfect for almost any home—and let’s not forget just how cute the Goldador puppies are! Both the Golden and the Labrador were developed as hunting dogs in the 19th century. Spaniels had always been hunting dogs but marksmen began to need a new type of animal. They were specifically developed during the 19th century to love water, running, and retrieving. Owners discovered that, if given an egg, these dogs would cradle them in their mouths until told otherwise. They would not drop, bite or harm the egg in any way. Other breed owners tried the same challenge but had no such luck. This is just a testament to the calm nature of Goldens. They are loyal to their owners and will do almost anything that they are asked. They love people and are in pure heaven when they are being petted. Golden Retrievers are also easy to train. Labradors are a little less gentle than Goldens. They are extremely active and playful and they will always want to go for a run or a swim. These food-motivated dogs won’t hold an egg in their mouth without eating it and they are known for being a little rebellious. The Goldador dog breed it is part of a growing movement of designer dogs that are crossbreeds of other purebred lines. Some of these new designer dogs don’t make very much sense because the parent breeds are so starkly different from one another. However, the Goldador is the perfect hybridization. Labradors and Goldens have similar personalities, making them a logical cross. 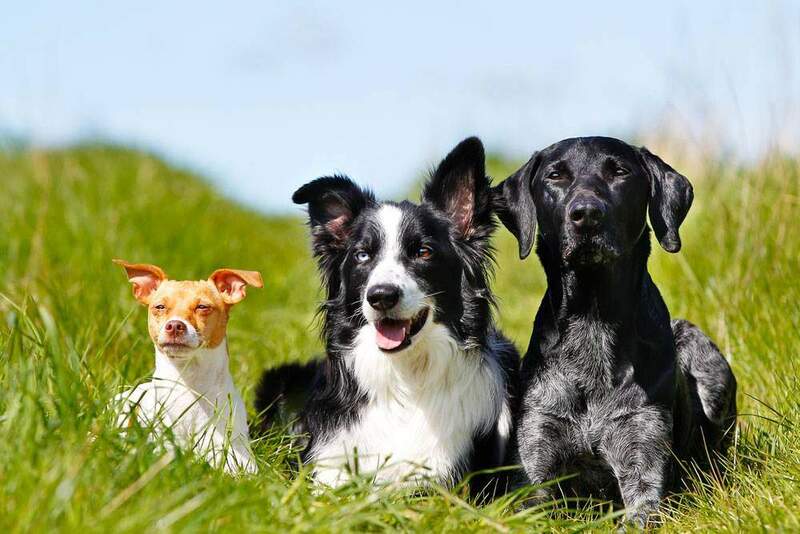 Because it is a hybrid breed, your dog will lean toward one parent breed or the other. This depends largely on genetics and how much Labrador or Golden DNA the dog has. However, there are a few things that are safe to assume about this breed. First, you can expect your Goldador to be outgoing and extroverted. 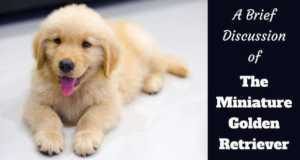 Both Goldens and Labradors love people and will quickly make friends with anyone they come into contact with. If you are out at a park or a sidewalk cafe, don’t be surprised if your dog befriends total strangers. You can also expect your Labrador-Golden Retriever mix to be fairly obedient once trained. Both Goldens and Labradors have high levels of intelligence, making them perfect working dogs. This is why you will see many disability assistance dogs of both breeds. You can also guarantee that your dog will be active. As hunting dogs, both Goldens and Labradors love to be outside. You will need to spend at least 60 minutes a day with them. Their favorite game of all time is fetch and a tennis ball will become their new best friend. If you live near a lake or an ocean, take them down to the beach and toss the ball into the water. You should be careful, though. 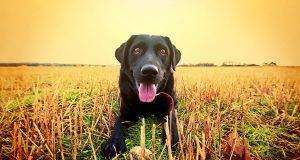 When it comes to retrieving, both Goldens and Labradors can be overly enthusiastic. They will play fetch until they can barely walk home. You’ll need to take care to make sure you don’t work them too hard. 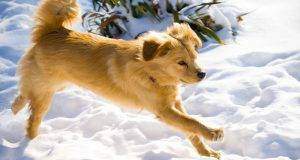 Your Labrador-Golden Retriever mix’s appearance will also depend on its genetics. If it leans more Labrador it might have a shorter coat that comes in Chocolate, Yellow or Black. If it leans more Golden, it might have longer hair in a golden color. Your breeder will be able to tell you what the puppies generally look like. You should prepare for this dog to shed, though. It will always have a two-layered coat. The dense bottom one is designed to keep the dog warm and the top coat helps repel water. Brushing the dog a few times a week is a good way to prevent hair from getting everywhere but they will shed more in the fall and spring. If you’re considering a Golden Retriever Labrador mix, be prepared to spend a lot of time outside. These dogs need a lot of exercise to stay happy. If not, they can get destructive in the home. While they love to play fetch, they are also great companions for running, hiking or even just long walks around your town. They are also still fantastic hunting dogs and will happily collect game for you. Training these dogs is the only area where they might be difficult. This is because the Golden and the Labrador both learn very differently. Goldens tend to be somewhat obsessive while learning. As a result, they learn best through repetition. They will keep working on something until they get it right. They are also motivated by love and affection. So, while treats are an excellent reward, Goldens thrive with kind words, cuddles, and happy tones of voice. Labradors are a bit different. Their high intelligence ensures that they get bored with tasks easily. Because of this, long repetitive training sessions will be ineffective for the dog. Instead, try and break training into small doses of 15 or 20 minutes throughout the day. Labradors are also food-motivated dogs. So while affection and positive reinforcement are important to the animal, food might be the better driver. If you can tie treats into training as a reward or connect training sessions to their feeding times, you will likely make more progress. Once you figure out the right way to train your dog, the process should be somewhat easy. Talk to your breeder about which breed the puppies tend to lean towards and adjust accordingly. You might also find that a mix of the two methods is effective. The Goldador is a fantastic dog that is perfect for first-time owners. It can adapt to almost any family style, from singles to large families. As long as you make sure this dog gets enough exercise, it will quickly become your new best friend. Next: Your Guide to Calming Supplements for Your Dog: What Should You Look For?